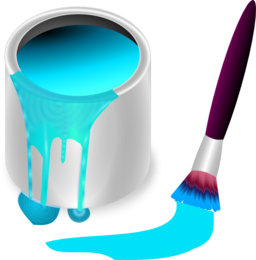 The title of this royalty free vector image is Color Bucket Blue Clipart, which can be described by color image, bucket image, and blue image. 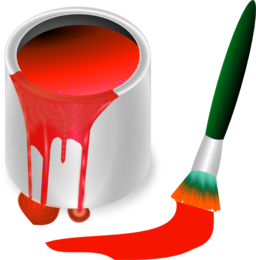 The image can be downloaded as SVG vector format by clicking the SVG button, or as PNG raster format by clicking the Download button. 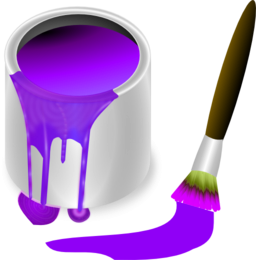 Choose the desired PNG size 64px, 128px, 256px, 512px, or Custom Size by clicking the Size button. The Custom Size option enables you to specify the desired width and height of the image. You can remix or edit the image to add your own touch by clicking the Edit button. Finally, the PNG image is available at several colon variations by clicking the More button. عنوان هذه الصورة هو علبة طلاء ازرق, كما يمكن وصفها صورة لون, صورة دلو, صورة أزرق, صورة تعفن, صورة علبة, صورة طلاء, صورة احمر, صورة تلوين, صورة بالتة, صورة حائط, صورة دهان, صورة لوحة, صورة رسوم, صورة تلوين, صورة فرشاة, صورة قلم, صورة الوان, صورة فضى, صورة رمادى, صورة ظل, صورة نور, و صورة تجسيم. 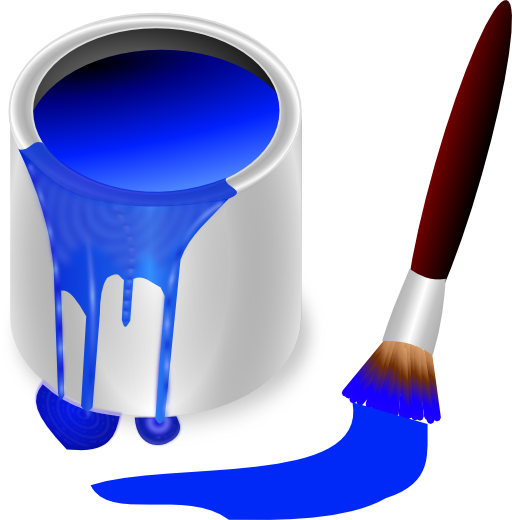 يمكن تنزيل الصورة SVG من خلال النقر على زر SVG, او PNG من خلال النقر على زر Download. اختيار حجم الصورة المناسب 64px, 128px, 256px, 512px, او Custom Size من خلال النقر على زر Size. تتيح خاصية Custom Size التحكم في ابعاد الصورة. يمكنك تعديل أو تحرير الصورة لإضافة لمسة خاصة بك من خلال النقر على زر Edit. يمكنك تنزيل هذه الصورة بألوان مختلفة من خلال النقر على زر More.